Review: The Apersonal crew offer up a selection of varied, on-point edits that reflect the wider scope of what the label is all about. Trujillo is up first, taking Robbie Ellington's "Don't Cry" to emotive new heights, before Cisco Cisco have some fun with the "Shaft" theme tune. The Portuguese duo fly in some cosmic flourishes to shape out the dancefloor prowess of this timeless crowd pleaser. KMA tackles "Storm" by Rare Silk, stretching out the illustrious instrumental flow of this dreamy Balearic roller to become a thing of beauty. With respectful approaches to the source material and enough personality in their styles to make it a worthwhile exercise, the Apersonal crew excel themselves on this release. 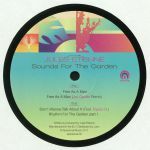 Review: Following his recent strong turn on Cocktail D'Amore, Jules Etienne makes a trip back to Apersonal Music with more of that island groove for the smoothest slack-wearers in town. "Free As A Man" is a beautifully laid back but funky offering that speaks to all kinds of good times. Jex Opolis turns in a remix of the track that has a little more bite to suit the later demands of the dancefloor. "Don't Wanna Talk About It" sees Etienne linking up with Disco D and winding all kinds of slick strutting business into his sound, and then "Rhythm For The Garden" heads off into wonderful tribal percussion that serves as a handy tool for DJs who want to get some rich drum sounds into their set. 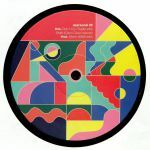 Review: It's been relatively quiet from Trujillo recently, but now the Venezuelan producer casts out a transmission from his Berlin base to let everyone know that all is well and we can get back to the business of smooth grooving. "Everytime I Think Of U" speaks to the Balearic tendencies embedded in the producer's aesthetic, with a reflective vocal swirling amidst dreamy guitar chops and swooping synth warbles of a strictly blissed out nature. Telephones does a sterling job of remixing the original version into a warm and funky deep house jam peppered with organic delights.